CPCC Summer Theatre opens its’ 44th season with Fiddler on the Roof in the Halton Theatre. Show runs June 2nd to June 10th. Fiddler on the Roof. Tevye the Dairyman, tries to protect his daughters and his way of life from a changing world.Top of FormBottom of Form Winner of nine Tony Awards when it debuted in 1964, Fiddler on the Roof is the brainchild of Broadway legends. Touching audiences worldwide with its humor, warmth and honesty, this universal show is a staple of the musical theatre canon. Rich in historical and ethnic detail, Fiddler on the Roof‘s universal theme of tradition cuts across barriers of race, class, nationality and religion, leaving audiences crying tears of laughter, joy and sadness. 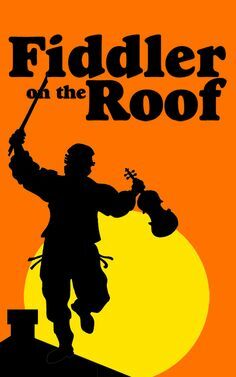 With iconic and beloved songs such as “Sunrise, Sunset,” “If I Were a Rich Man” and “Matchmaker, Matchmaker,” Fiddler on the Roof is the perfect mix of audience-pleasing humor and heart. 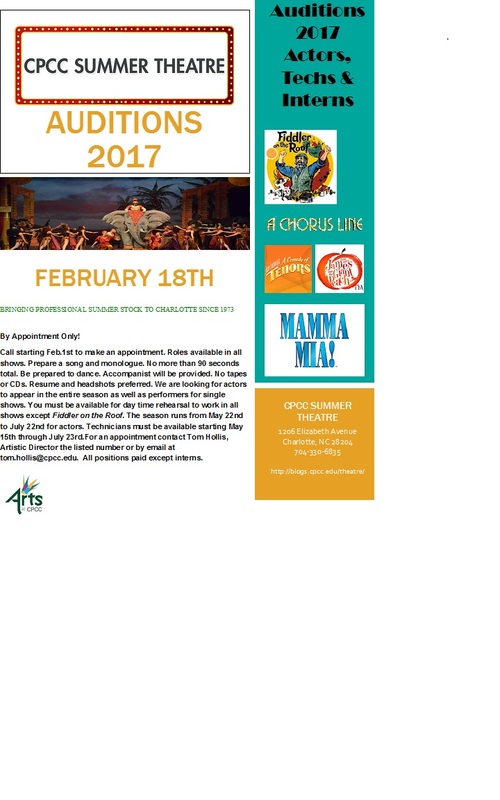 Get your tickets at the SunTrust Box Office 704-330-6534 or online at tix.cpcc.edu.